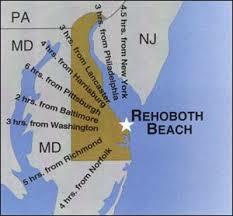 Rehoboth Real Estate Guide is the complete Sussex County online Rehoboth Real Estate data provider. The Guide breaks Rehoboth into different segments and categories. This simplifies the Search process and allows users to obtain up to date information on all Rehoboth Real estate.Rehoboth Real Estate Guide is a comprehensive MLS directed Real Estate site made to be user friendly. The Sussex County Sales of homes keeps on going due to the influx of retirees and buyers of second homes.Rehoboth Real Estate is in demand because of its prime locale!!! In less than a three hours drive to all these large metropolitan areas. This makes Rehoboth Beach De. one of the most the sought after second home and vacation home investments. This refers to all property east of the canal to the Atlantic Ocean…This Real Estate is walking distance to the beach and boardwalk!! These homes and lots carry premiums for their distance to the beach. This Real Estate has commercial, rentals and investment property, not to mention vacation homes. This refers to all Real Estate on the ocean side of Route 1 also known as the Coastal Highway.The Northern end extends to Lewes and the southern end extends to Dewey Beach. This refers to all property on the bay side of Rehoboth. This area goes west and includes commercial, golf course homes, condos, mobiles and a variety of homes. The prices tend to be lower the further west you go and the further from the water!